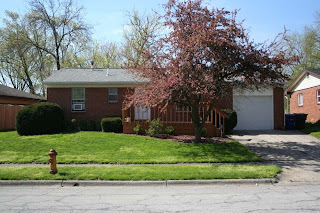 MUCH LOVED BRICK RANCH HOME! Front Deck entrance to Living Room. New Kitchen countertops and faucet. Newer white paneled doors. New central air April 2013. Hardwood floors in most Bedrooms. Full Basement. One car attached Garage with opener. Fenced back yard. Close parks and shopping. 3 BR’s & 1 Bath. Over 1,000 SF! Columbus City Schools. Only $77,500. Call DeLena Today!